In this chapter we introduce the basic notions of the theory of ordinary differential equations. 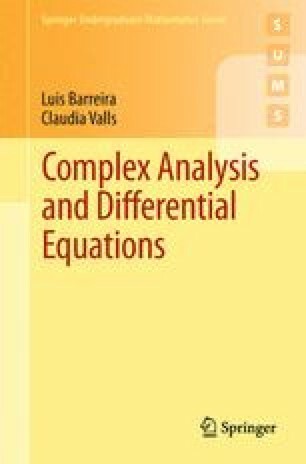 Besides establishing the existence and uniqueness of solutions, we study the class of linear differential equations with constant coefficients, as well as their perturbations. In particular, we show how to solve linear differential equations by computing exponentials of matrices, and we establish the Variation of parameters formula for the perturbations of these equations.